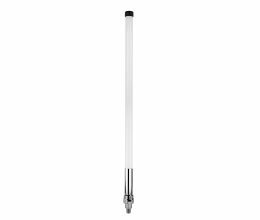 If you need an antenna with different specifications, please contact us. We can almost certainly supply it to you. 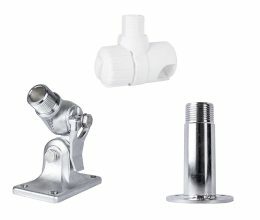 Besides all antenna possibilities you can choose your desired mounting hardware to fit your antenna to your circumstances. 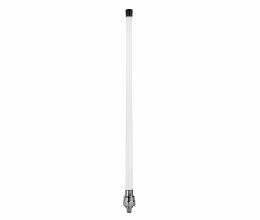 Your VHF antenna up to 6 meters long. Good quality and quickly available. VHF Antennes voor de pleziervaart. 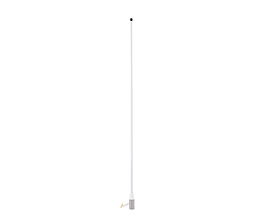 VHF Antennas for leisure boats. 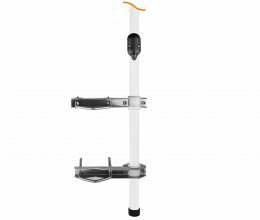 Speciaal voor de pleziervaart hebben wij een assortiment VHF antennes samengesteld. 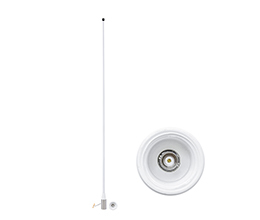 To ensure durability, you can opt for MF/HF antennas with an extra wide diameter to 52 milimeters. Every antenna is designed to resist most (bad)..
UHF antennas of the 400 – 470 MHz band are most effective for mobile communications. 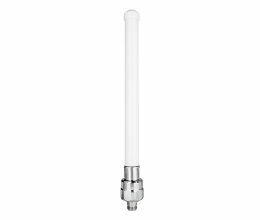 These antennas are developed to perform in narrow band widths, by which they get great gain. Especially the MPGPS antenna is easy to install: directly on the deck, on a rail mount or on any of the 1” – 14 standard marine mounts. It is no problem to walk on the antenna. 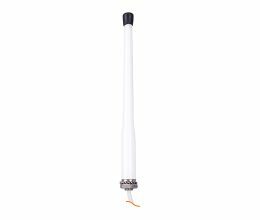 DAB ready TV antennas in UFO, flexible or standard antenna shape; they will allow you to watch your favorite TV shows worldwide. It is your choice how to connect with the world: wifi, GSM, AM/FM. Met de Fit & GO series is het strippen van kabels en het monteren van connectoren verleden tijd. 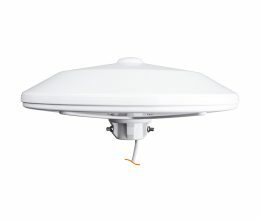 De Fit & Go serie is ontworpen om het installeren van de antennes en.. There are several accessories to customize and mount your antenna.